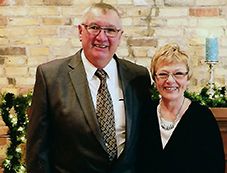 The back story of Baas Construction, Inc.
Baas Construction was established by Mark Baas, who grew up on a small farm in east central Minnesota. From his earliest days Mark learned the value of hard work and the importance of a good reputation. He learned that honesty and integrity are priceless in any relationship. Mark's character and his business were built on a foundation of fairness, integrity and competence that reflect the values he learned as a child. Baas Construction started small, with Mark doing all aspects of each project himself. Swiftly Mark's reputation for quality workmanship and excellent customer service let to steady growth and the company incorporated in 1991. Over time Baas Construction, Inc. became known as one of the area's top general contractors for both new construction and remodeling projects. Now over 35 years later, Baas Construction, Inc. is as well known for commercial construction projects in Central MN as they are for residential remodeling and new home construction. Prominent commercial projects include work at Grand Casino Mille Lacs and construction of the Northern Lights Ballroom and Banquet Center. Brent Baas has followed in his father's footsteps. Together Mark and Brent are the guiding forces of Baas Construction, Inc.
Baas Construction, Inc. would like the opportunity to work with you, please give them a call to discuss your project at 320-369-4338. To send them an email just click Contact Us. and product through personal attention, fairness, integrity and competence, on time and within budget."